Scott Jensen is the President of Camrud, Maddock, Olson & Larson, Ltd. Scott grew up in Bismarck, North Dakota. He graduated from the University of North Dakota in 1982 and the University of North Dakota School of Law in 1985. Scott is licensed to practice in all state courts in North Dakota and Minnesota, and the federal courts in the state of North Dakota. He practices in the areas of tort and personal injury litigation, medical malpractice defense, products liability, asbestos litigation, business and commercial litigation and trust and estate litigation. Scott is a Past President of the Greater Grand Forks County Bar Association. 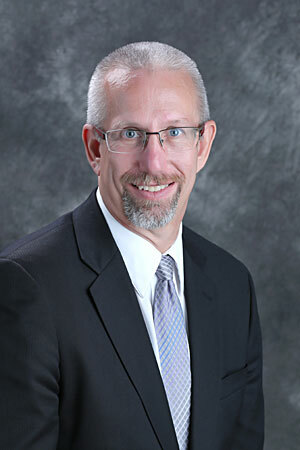 Scott served for twelve years as an elected member of the School Board for the Grand Forks Public Schools, has served on the Greater North Dakota Chamber of Commerce Board of Directors and as the Attorney Coordinator for the local United Way campaign. He has served on the Board of governors for the North Dakota Bar Association and is a past member on the North Dakota attorney Disciplinary Board. Scott is a qualified neutral (mediator) in the state of North Dakota and Minnesota.